Vandemataram Samiti workers burn a Pakistani flag to protest the killing of two Indian soldiers on the border, in Varanasi. 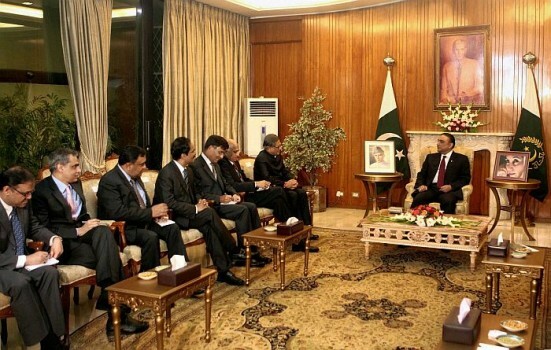 External Affairs Minister SM Krishna, accompanied by his delegation, meeting Pakistan President Asif Ali Zardari in Islamabad. 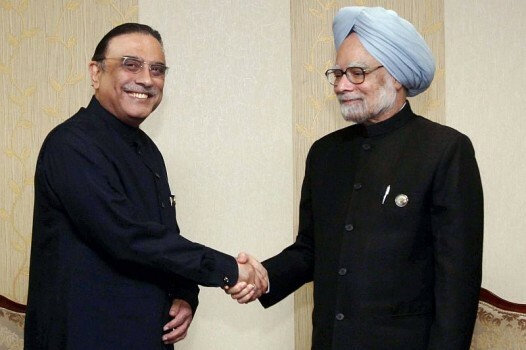 Prime Minister Manmohan Singh shakes hands with Pakistani President Asif Ali Zardari during a meeting in Tehran, Iran. 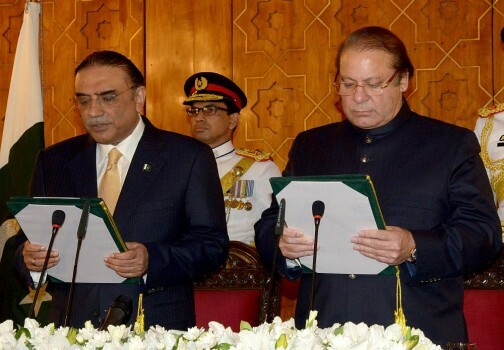 Nawaz Sharif's PML-N with 64 and Asif Ali Zardari's PPP with 43 seats are placed at number two and three respectively. 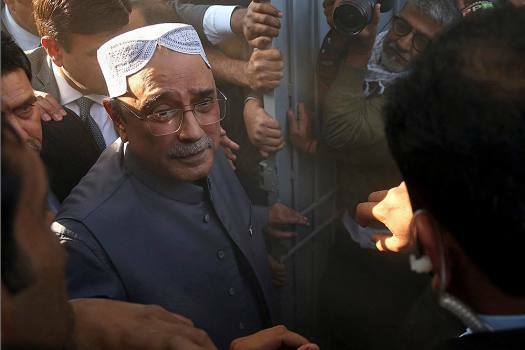 Zardari, 62, said Nawaz and Shahbaz plotted his murder when he was serving his eight-year-long sentence in corruption cases. 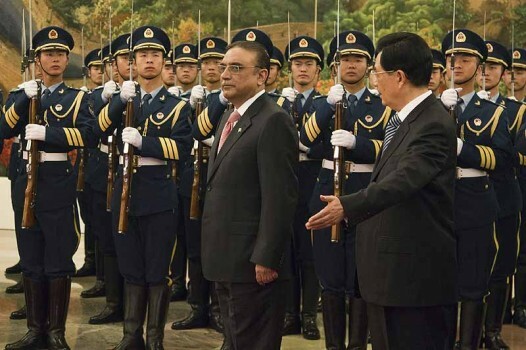 Zardari combined his visit for the SCO summit with a bilateral visit for talks with Chinese leaders and businessmen on bilateral relations. 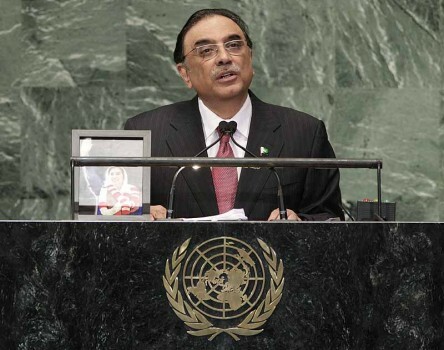 Manmohan Singh has accepted Zardari's invitation to visit Islamabad. But what should the two sides talk about? Here are those on which progress is both necessary and, more importantly, possible. 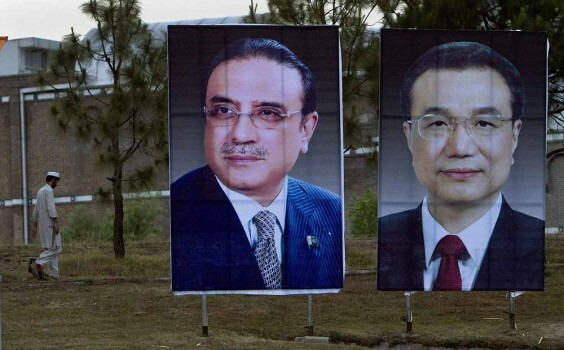 After the understandable caution over President Asif Ali Zardari's visit, it is time for an informal visit by Prime Minister Manmohan Singh to Islamabad without linking it to any solution to any of the contentious issues. 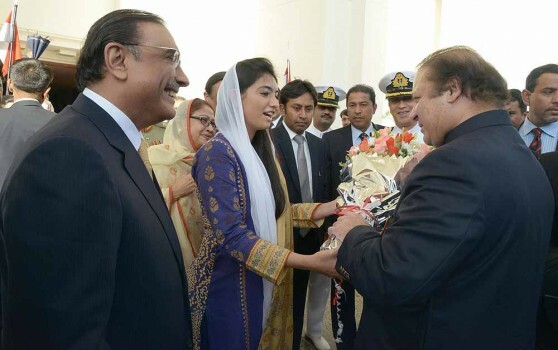 What we need in Indo-Pakistani relations is not the big and spectacular, but the small and significant. "Jordari, Jordari," the voice is reported to have said in perfect Benglish, "I weel shee you." 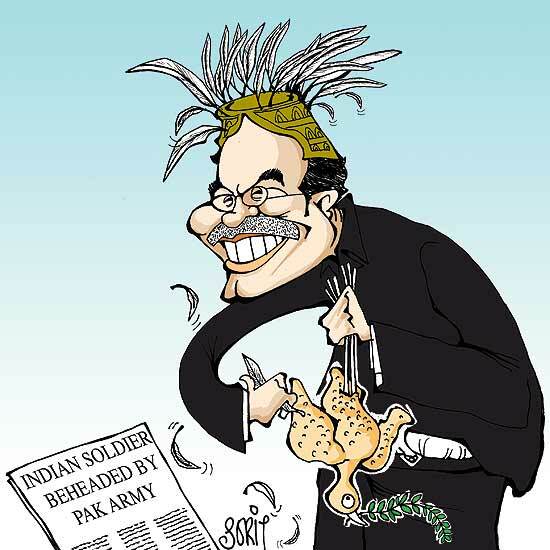 Words to this effect is what, we all laughed last year, must have made a rattled Asif Zardari rush to the Americans, complaining Pranab Mukherjee had threatened him at the height of the Mumbai siege. Except the Benglish-spouting gent wasn't Pranab. It now appears that the hoax calls that brought India and Pakistan to the brink of war post 26/11 were -- yes, it seems incredulous -- made by none other than Omar Saeed Sheikh, one of the dreaded terrorists freed by India during the Kandahar hijack crisis. 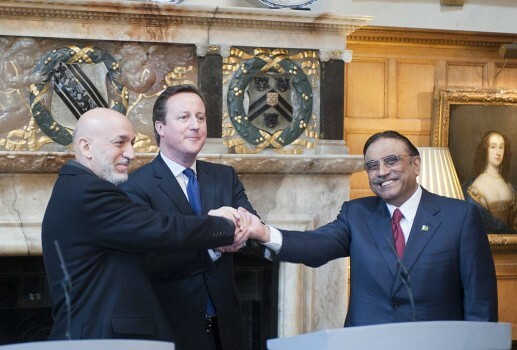 Surely the Pakistanis cannot be that easily fooled? 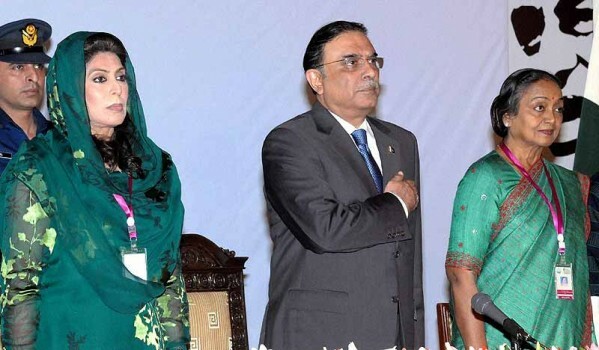 Particularly, because anybody who has heard or met Pranab-da -- as Zardari indeed has -- would always remember his distinctively endearing accent. 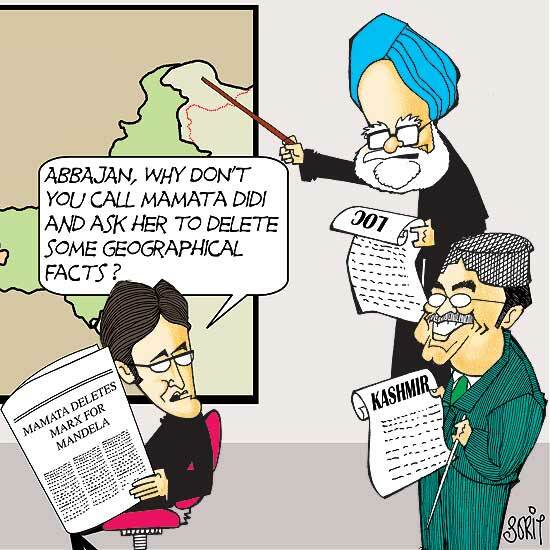 That someone could have put on a heavy Bengali accent and mimicked Pranabda, we thought, was a possibility. But Omar Sheikh? He apparently tried calling Condi Rice and Pranab Mukherjee himself and was not allowed access, which is how it should be when it comes to call filteration for such high-profile personages. 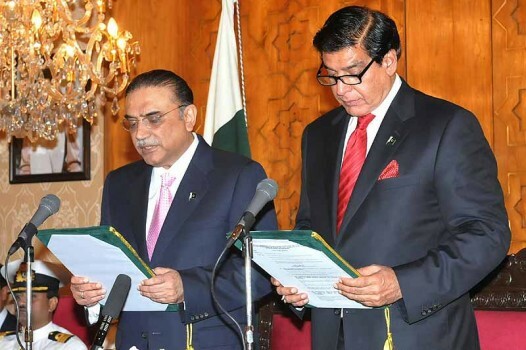 It does beggar belief that not only were the calls actually put through to Kiyani and Zardari or, as the Dawn report puts it, that Gen Kayani was bewildered by the caller’s threatening tone. 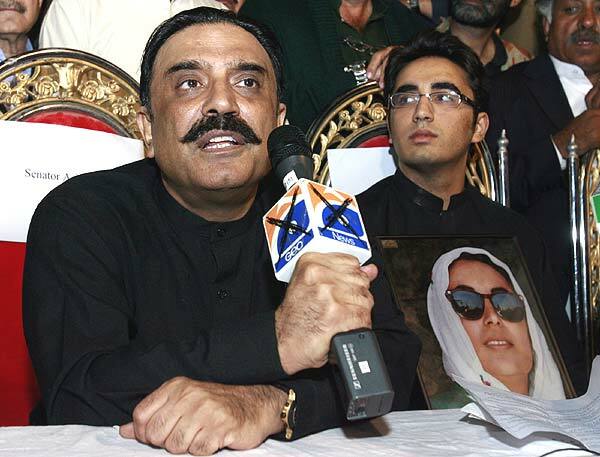 Besides ruining my country, I believe my aunt's husband, Pakistani President Zardari, orchestrated my father’s murder. Is Obama really going to offer him billions more when they meet today? Something rotten has arrived in Washington. 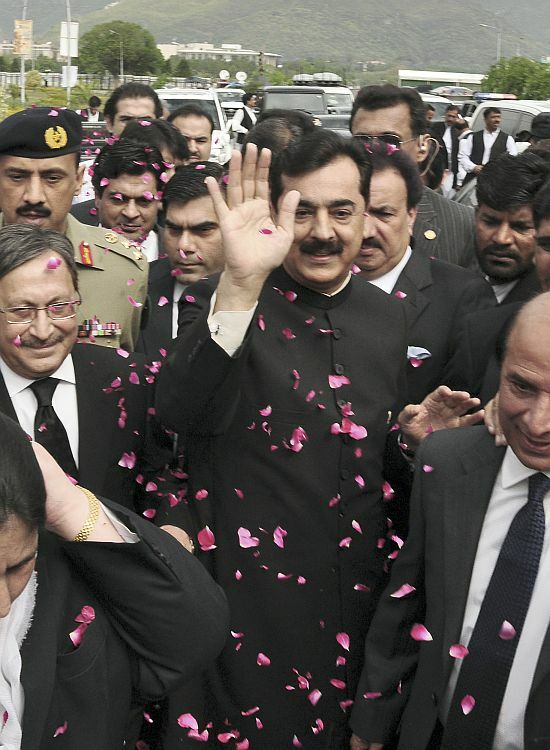 Today, President Barack Obama will shake hands and stage Oval Office photo ops for the first time with the man who many believe stole billions from the Pakistani treasury, empowered Pakistan’s newly formed Taliban by imposing Shariah law without a vote or referendum, and whom I have publicly accused of orchestrating the murder of my father, Murtaza Bhutto, an elected member of parliament until he was killed in 1996. 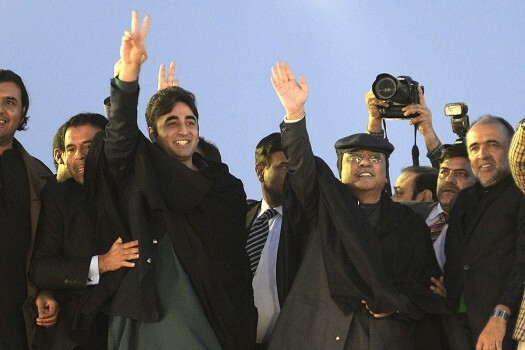 A pragmatist, Zardari has survived. But his tolerance and acuity is a first for Pakistan. Can India temper firmness on 26/11 with some goodwill to Pakistan? 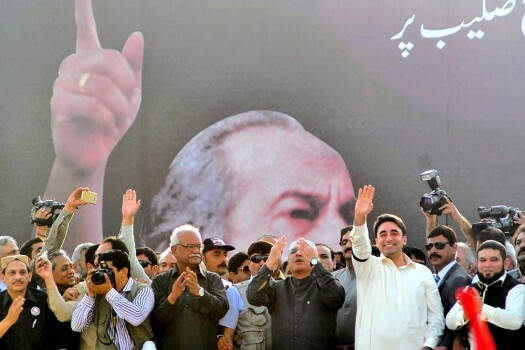 The people have spoken, even his PPP is fed up. 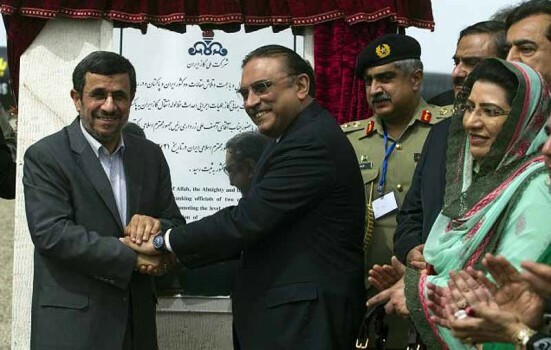 The beginning of the end for Zardari? 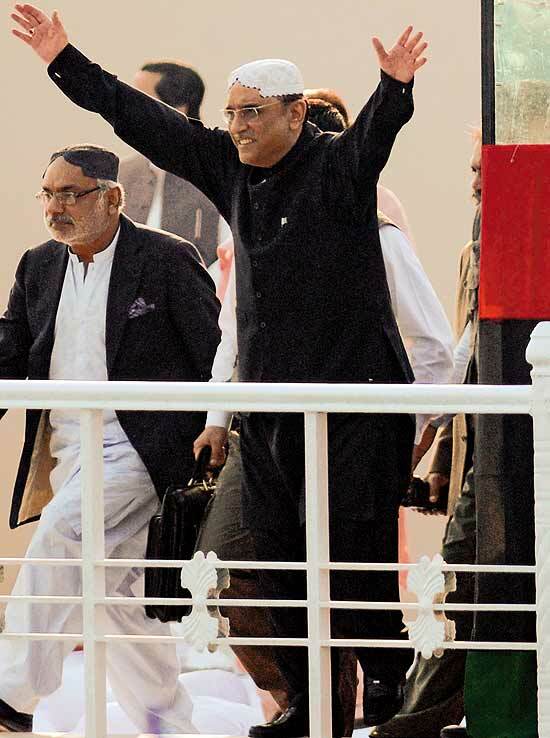 Zardari, who returned to Pakistan late last month after spending about 18 months in a self-imposed exile, would be accompanied by a delegation, which would include ex-Pakistani ambassador to US Sherry Rehman.